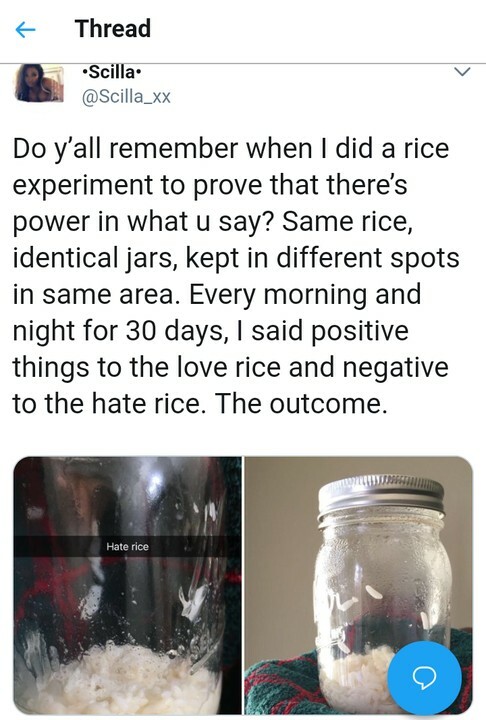 Twitter user did this experiment to show their is power in what we say. 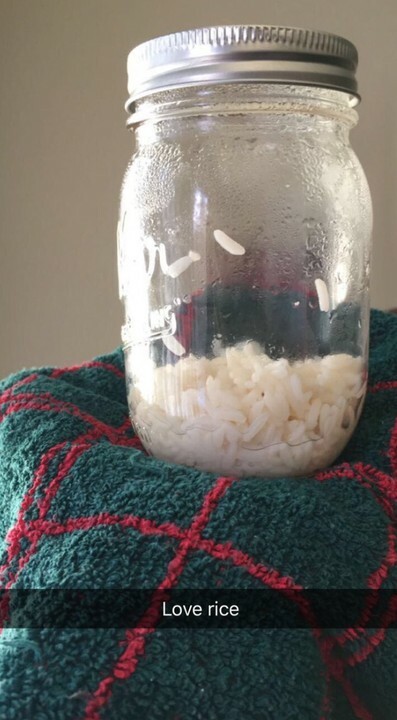 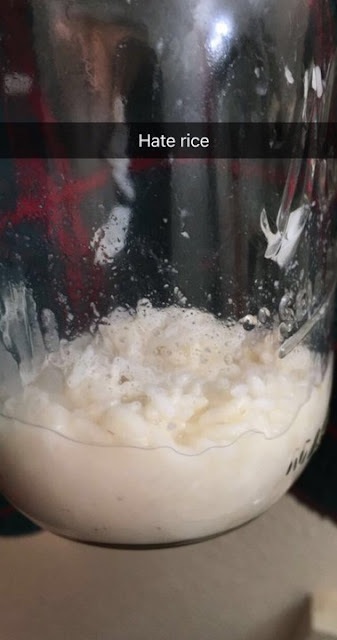 She put a boiled rice inside a jar for 30days with label and she says different things to the jar everyday. And picture below turn out to be result of what she says everyday.